With the Himalayan mountain range as a backdrop construction started on two Mountain Retreats in Uttarkhand. 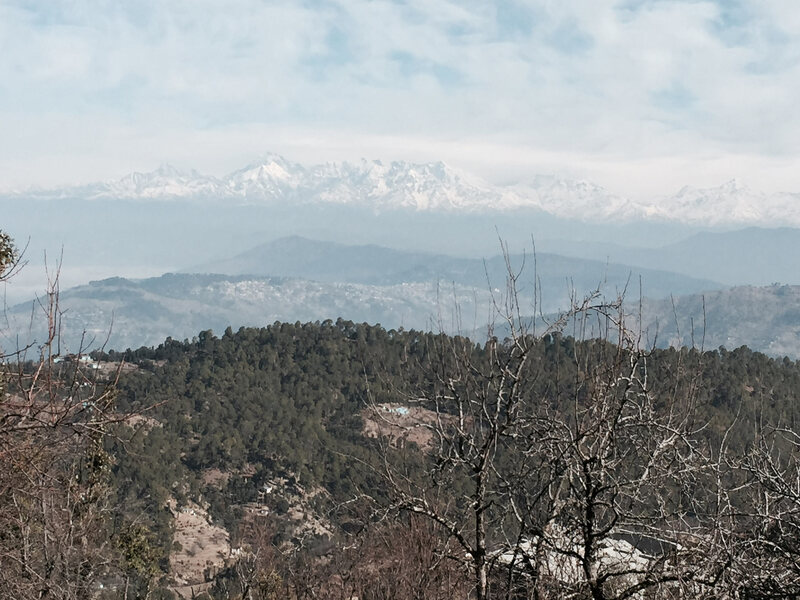 Located in a serene little village cocooned in the Kumaon region of the Himalayas, 7000 ft above sea level, between Nainital and Mukteshwar in Uttarakhand, the site is surrounded by miles of dense jungles, orchards and pine trees. The dramatically sloping site called for two different strategies for the two homes. Therefore each home makes optimal use of the varying landscape. Two properties with each a 3 bedroom house can be used independently and together. Each retreat has its own unique characteristics and facilities so that they complement each other. Integral to the design is to minimise the ecological footprint with sustainable measures that help to enhance to experience the beauty of the site. The retreats are built out of natural stones taken from the site itself. A water catchment pond located at the bottom of the site collects water during the rainy season and become a natural pond reflecting the lower house in it ‘s surface. Waste water is treated in a reedbed. Elegant light weight roof are finished with integrated solar photo-voltaic panels. Solar water panels in turn provides hot water that heats spaces though an underfloor heating system.